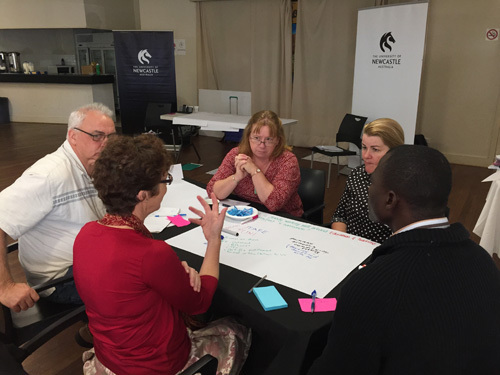 Community Connect is developing community led and inspired projects that involve university students who want to extend their skills and capacities through involvement in Work in Learning (WIL) and volunteering possibilities (iLEAD). Course learning outcomes are covered in WIL projects which are developed through a collaborative process that starts within the communities and works together with academics for implementation. Community Connect staff support UON students in gaining valuable experiences in a professional environment. The opportunity allows students to consider career path , and cultivates passion & interest for community. Serve as a link between the university and the community. Our team has a range of skills and expertise from working within the higher education and community sectors. Bring an innovative and alternative approach to WIL projects and their development- designed to interest students and extend existing strengths. Provide access to a variety of Inter Professional Learning (IPL) opportunities for your students within disciplines including allied health, creative arts, business, social sciences, IT, media & communications. Guide projects in ways that ensure consistency with course learning objectives and community project needs. Set clear expectations for all students involved with Community Connect to operate in strengths based and respectful ways. Support you to try new models of student learning. We invite you to consider the things that you would like to offer your students, that you haven't had the time or resources to develop. We can't promise to do everything! But we hope to support you to take another step and to build on what you already do so well. This might mean considering projects that will maximise what you already do, or propose ideas that will create new possibilities.